After much speculation and guess work, Nvidia’s latest entry into the Maxwell lineup, the GeForce GTX 960’s specs have been all but confirmed. Back on January, 5th, we’d reported a rumor (thanks to a retailer leak) the GPU would feature 128-bit memory, 2GB RAM and looked to feature 1024-1280 CUDA cores. The final specs of the card aren’t too surprising. The GTX 960 is powered by Nvidia’s Maxwell GM206, which is created using the tried-and-true 28nm technology (perhaps something Nvidia can work on in the future). The GM206 packs in 1024 CUDA cores, which is at the lower end of what we’d predicted about a week ago. Rounding this up, are 32 ROPS and 64 TMUS packed on the silicone. For sake of comparison, the GTX 970 has 1664 CUDA cores, and the GTX 980 has 2048 (double the GTX 960’s 1024 processors). 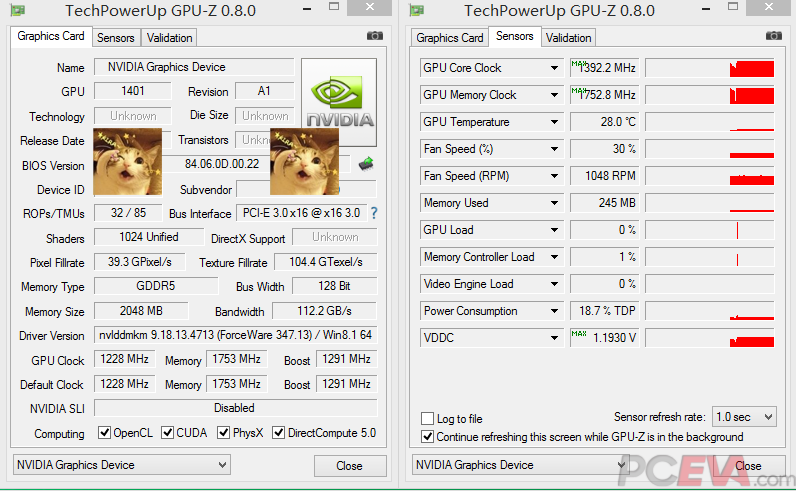 Taking a peak at the screen shot below, and you might wonder why we’re listing only 64 ROPS when GPU-Z is showing as 85. 85 is clearly an error, and by comparisons to say the GM204, and looking at how the other specs are playing out, 64 TMU’s for the GTX 960 are far more likely than the card sporting an odd number such as 85. The memory shown off in the particular model that was leaked is 2GB of GDDR5, running on a 128-bit memory bus. This means data can whizz around the graphics card at 112 GB/s, thanks to the GDDR5 being clocked at 1753 MHz (the memory bandwidth is once again, exactly half of that featured on the GTX 980). There are a few things which aren’t confirmed as yet – the first is the TDP of the card – supposedly, given the screen shots and early info, the answer is 120W, but that’s confirmed. 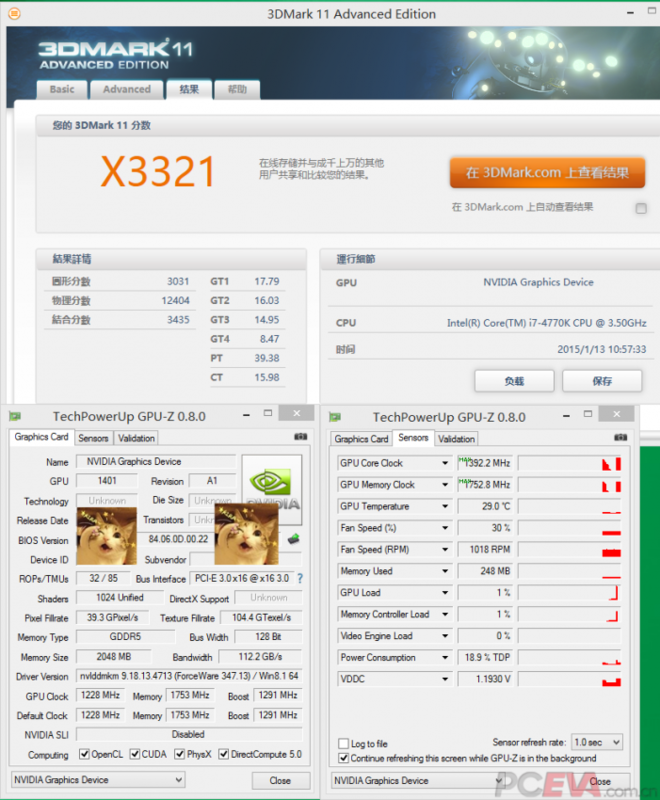 The second would be the Core Clock speed, the GPU-Z screenshots of the GTX 960 are showing it to be running at 1228 – but there’s a reasonable chance that this is a card that’s benefited from a tweak by the manufacturer (look at EVGA, ASUS and other vendors, you’ll notice few of them stick with reference clocks). It’s likely the core clocks will be in the region of about 1200MHz, so the leaked results are likely to be fairly close (within a few percentage points anyway). For those who’re more interested on how many frames per second it can push, rather than say the core clock speed, the GeForce GTX 960 will be pretty close to what you’d expect for say AMD’s Radeon R9 280 (and thus, naturally the R9 285, since they’re so similar in performance). Remember, Nvidia’s card is likely benefiting from a slight tweak of the core clocks, and thus it’s hard to know the exact results. 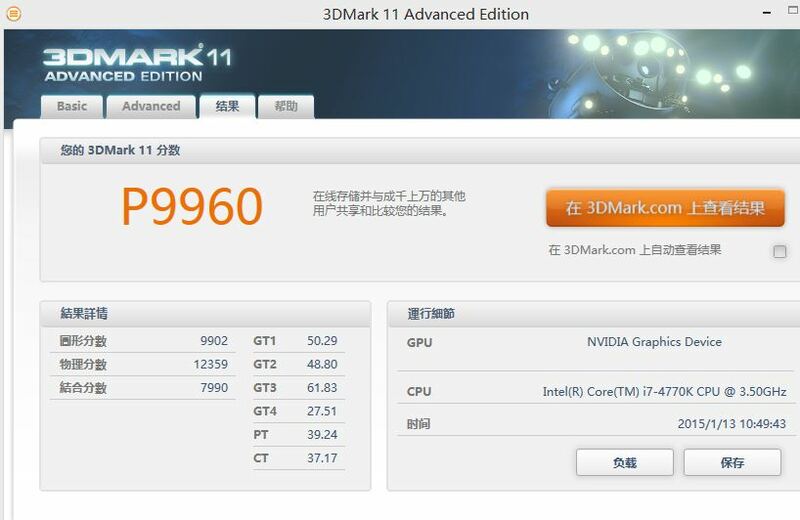 Thus, the GPU will have price and TDP to battle AMD’s newest card on. So, the early impressions (based on these leaks – once again, if they’re accurate) is Nvidia’s latest graphics card entry isn’t anything to get super excited about. It’ll be interesting to see how the things scale in SLI, particularly for folks who’re wishing to run them at say 1440P with all of the bells and whistles on – as both Memory bandwidth and lack of VRAM (the latter being something a 4GB variant could potentially fix) are rather on the low side. Until the card is officially revealed, all we can do is wonder. Tagged with benchmark, geforce, graphics card, GTX 960, leak, nvidia, PC gaming, radeon, speculation, Tech Tribunal.